There are conflicting reports. 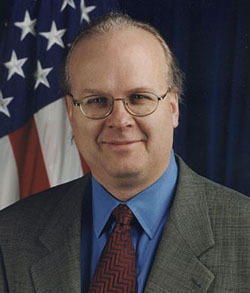 It is known that both Rove and Valerie Plame attend the same Episcopal Church. However, in The Architect by James C. Moore and Wayne Slater, Rove is described as a "self-proclaimed agnostic."